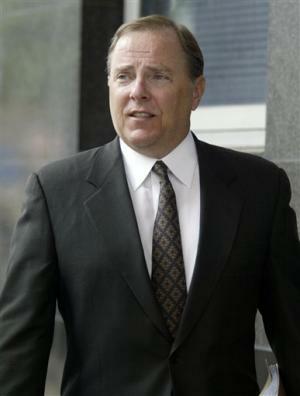 Jeffrey Skilling was born on the 25th November 1953, in Pittsburgh, Pennsylvania USA, and is a former CEO of energy, commodities, and services company called Enron. He led Enron for six months before resigning for personal reasons in the middle of 2001, four months before the bankruptcy of the group. Currently, he is imprisoned for 14 years with a projected date of the release – the 21st February 2019. How rich is the businessman? It has been estimated by authoritative sources that the overall size of Jeff Skilling’s net worth is as much as $2 million, as of the data presented in the middle of 2016. To begin with, he was raised in New Jersey and Aurora, Illinois. Jeff was educated at West Aurora High School, but at 16, he was employed at channel WLXT. Afterwards, he studied at Southern Methodist University and Harvard Business School. Following graduation he worked as a consultant at the McKinsey & Company, later becoming a partner in the company. He then moved to Houston as an analyst for one of Enron’s banks, First City Bancorporation of Texas, but left before it failed. Concerning his career in Enron, he started as an analyst as well as helping to create a market in natural gas in 1987. Jeff made an impression on the CEO of the company Kenneth Lay. In 1991, Skilling was promoted to the chairman position, and later he became the CEO of the aforementioned company. In 1997 he was made President and COO, by which time Enron had risen to 287th rank of the largest USA companies, before the anomalies discovered in the accounts, which resulted in the group’s implosion and firing of some 4,000 of its employees. The group was declared bankrupt at the end of 2001, with losses estimated in excess of $40 billion, which at the time was the largest bankruptcy in the history of the USA. At the beginning of 2006, Skilling and Kenneth Lay, who had headed the company before were arraigned in court. Skilling himself faced 28 charges, including fraud, conspiracy, insider trading or false statements to audit firms. He was convicted of 19 of them (fraud, conspiracy, etc.). He argued during the trial to be innocent and ignorant of the financial arrangements of Andrew Fastow, Enron’s CFO. On the 23rd October 2006, he was sentenced to 24 years and 4 months in prison, but appealed against the decision. The Supreme Court of the USA decided in June 2010 to quash the conviction for breach of moral obligations,while recognizing the fairness of the trial in 2006, thereby returning to a new subsequent judgment. In June, 2013, his original sentence of 24 years was reduced to 14 years imprisonment. Moreover, he was fined for $45 million, which considerably reduced the total size of Jeffrey Skilling’s net worth. Finally, in the personal life of the businessman, he has married twice, firstly to Susan Long(1975-97) with whom he has three children, although John died because of a drug overdose being only 20 years old in 2011. In 2002, Jeffrey married a former vice president of Enron, Rebecca Carter. Parents Betty Skilling, Thomas Ethelbert Skilling, Jr.